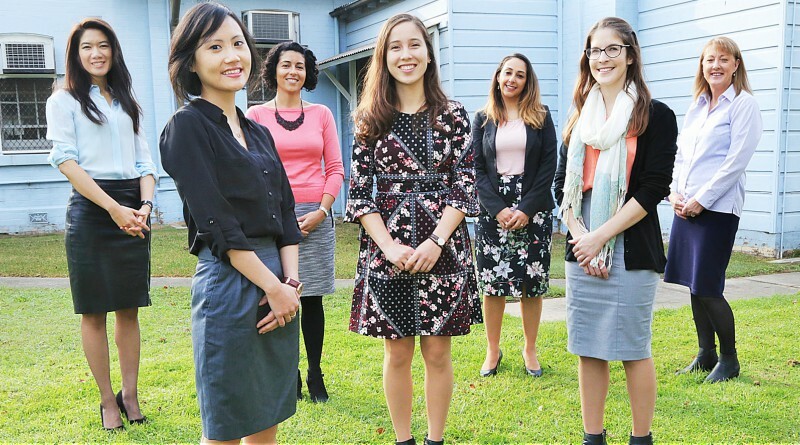 Clinical psychologist and head of Anxiety Unit Jessamine Chen, clinical psychologist Dr Michelle Jiang, clinical psychologist Evelyn Kandris, provisional psychologist Melissa Clark, clinical psychologist Yasmeen El Masry, provisional psychologist Nathalie Elliot and administrative officer Donna Buckley from the anxiety and treatment research team. Meet the WSLHD Anxiety Treatment and Research Unit team, one of the few specialist tertiary referral clinics in NSW providing high quality treatments for adults with anxiety disorders, including social anxiety disorder, generalised anxiety disorder (GAD), panic disorder, agoraphobia, obsessive­ compulsive disorder (OCD), and specific phobia (for example, arachnophobia). The clinic is also well known for providing evidence-based treatment for people experiencing hoarding disorder. Jessamine Chen is a clinical psychologist and head of the WSLHD Anxiety Treatment and Research Unit. She agrees we all can feel anxious sometimes, whether it be about attending a job interview, paying off a debt, or even who will win a football match, and says these feelings are a normal part of life. “For some people, however, these feelings can be more extreme. An anxiety disorder is more than feeling stressed. It is a serious condition that makes day-to-day life difficult,” she said. Approximately 14 per cent of the Australian population (1 in 7) experiences an anxiety disorder every year. The first step for organising treatment at the Anxiety Unit is to complete a telephone intake assessment to determine whether the Anxiety Unit will be suitable. The clinic only accepts referrals for patients with anxiety disorders, not simply high anxiety. Lots of patients have high levels of anxiety due to life circumstances (like financial stress, relationship problems, and family illness); these patients will be referred elsewhere. For further information regarding the WSLHD Anxiety Treatment and Research Unit, call 02 9840 4095 .